Our building science services in Toronto, ON attempt to view structures as an entire system and apply effective techniques while overcoming design problems. Building Sciences – Comprehending the physical behaviour of a building as an entire system and how the structure’s qualities affect its comfort, durability, indoor air quality, and energy efficiency is a crucial part of modifying and renovating high-performance buildings. 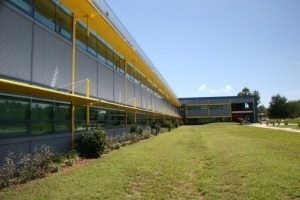 At Belanger Engineering, our building science services attempt to view structures as an entire system and apply effective techniques while overcoming design problems. Our team of proficient engineers in Toronto, Ontario realizes that the foundation of building sciences is understanding the underlying cause of building performance problems, or failures, that may have occurred during the initial planning and design stages. For this reason, we employ innovative methods that build on traditional building practices and develop new, innovative, and successful solutions. We realize that innovation should not be a trial and error process that depends on gradually refining previous precedents. When you turn to us to take advantage of our understanding of building sciences, we will develop solutions for your facility that are effective and that we know will enhance the overall performance of your building’s systems. When we conduct a project at your location, we will take into account many different factors to ensure the best results. For instance, we may consider the building enclosure, its inhabitants, the electrical and mechanical systems, and its external environment. If you are interested in finding out more about the particular building science services we provide at our firm, please contact us at Belanger Engineering today. We look forward to hearing from and serving you and your building’s needs. 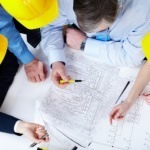 At Belanger Engineering, we offer building science services in Toronto, GTA, Mississauga, Markham, and Ajax, Ontario.